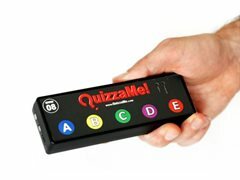 QuizzaMe is trivia with no pens or paper - just wireless buzzers. For years Aussies have enjoyed watching gameshows on TV, and now they can join in that same fun at venues around Australia, and we need Quiz Master's to help bring that vibe and energy to our shows. QuizzaMe is now the market leader in Australia due to our fun format, excellent training/support, and quality format. All scoring is automatic, and with limited time to answer teams can't Google and cheat. No need for you to go through sheets and read dodgy writing or worry about half points or adding up scores. We were the original buzzer company and still the best! - Get paid to rock up and just have fun!! PREVIOUS APPLICANTS WELCOME TO APPLY!! Those that are funny, comfortable on a microphone and have experience working a crowd do well in this role. Well suited to those that like to be the centre of attention and love the sound of their own voice! A set format to follow you can definitely still make this role your own and add your personal flair, humour and ideas. We are building a community of players and Quiz Masters - be part of this growing movement! Great partner with your flexible lifestyle, study or acting career.